Tonight marks the official unveiling of the American Idol top 10, but beyond that, almost the harshest elimination of the season. We’re at that point now where every single exit means something because we’ve actually gotten to know a lot of these people. That connection is a part of what this show does best. Unfortunately, we can’t say that last night’s new episode was perfect — as a matter of fact, it was far from it. There were a lot of nerves on Sunday’s episode, a lot of intonation problems, and also a lot of people who seemed to really struggle getting the necessary fire in their belly. We wanted to see more drive, and more oomph to making some of these performances great. There were still some standouts — think Jeremiah Lloyd Harmon, Uche, and Madison VanDenburg head and shoulders above the rest. For some more American Idol video reaction, be sure to check out what we’ve got below! Meanwhile, remember to subscribe to CarterMatt on YouTube for some other news and remember to check out our official show playlist. The people who were not automatically sent through to the top 10 included the likes of Alyssa Raghu, Eddie Island, Riley Thompson, Ashley Hess, and Dimitrius Graham — at least during the early going. None of this surprised us. Uche, however, did! We’re feeling like this is a legitimate travesty, and that America apparently doesn’t want there to be a talented singer/dancer who is actually bringing something a little bit different to the show. That’s the way that American Idol has always been — it feels like the ones who are routinely the most successful are the ones who come out on stage and do the singer/songwriter thing, or just come out and do a number of ballads. 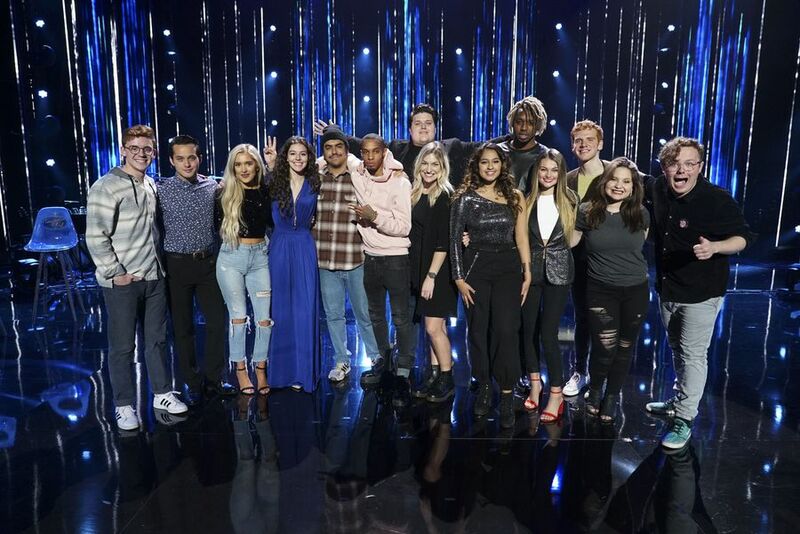 Madison Vandenburg, Walker Burroughs, Jeremiah Lloyd Harmon, Wade Cota, Laci Kaye Booth, Laine Hardy, and Alejandro Aranda were America’s top 7 — apparently, American Idol voters still love dudes. Uche was Lionel Ritchie’s choice to advance. Meanwhile, Lionel chose Dimitrius, and then Katy went with Alyssa. We understand some of these choices, but Dimitrius over Ashley? We’re not so sure about that. Ashley was probably the most consistent vocalist of the four artists eliminated, though Evelyn did have some moments. We’re probably the most shocked, though, to see Riley go given that she had stronger country ties than anyone left and really, these shows do tend to love their country-music representation. Now, this show must go on, and do so by moving in a totally different direction. Just be sure to visit the link here!